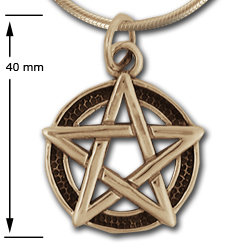 Makes a simple statement... Christians once commonly used the pentagram (pentacle) to represent the five wounds of Jesus, but today pentagrams are used symbolically to represent Fire, Air, Water, Earth and Spirit. 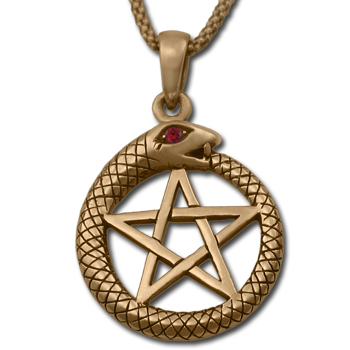 Now commonly used as a symbol of faith by Wiccans, it also has associations within Freemasonry. 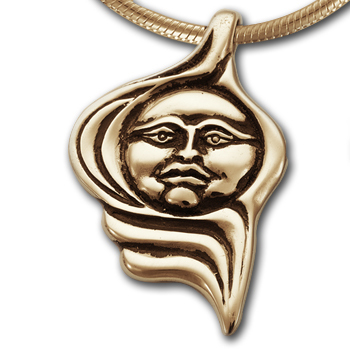 A larger brother to "462G", it is also cast in 14k gold and oxidized to accentuate the detail.